Our custom home on Carolina (which is actually our colleague’s personal home) is a classic mix of white, black and tan. The gold/bronze touches add some sophistication and the cement tile and and lighting details add some personality. 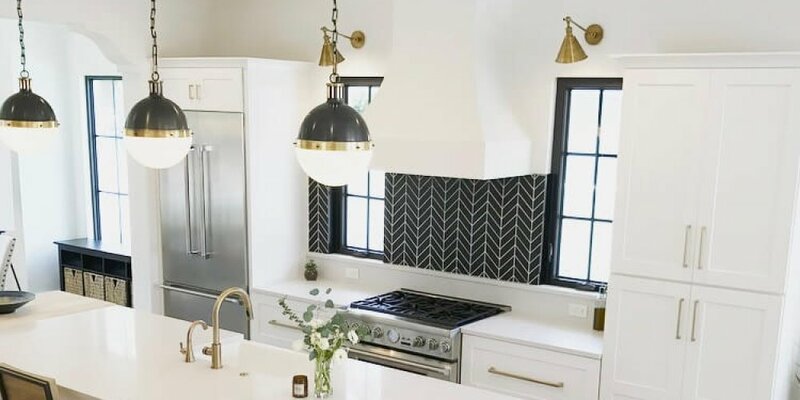 With a splash of black herringbone, open shelving and a long white quartz counter the kitchen in itself is a total show stopper.